Finally!!! 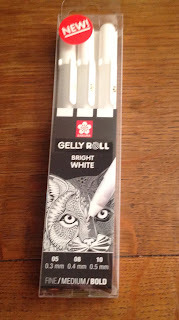 Yesterday I found the new Gelly Roll Bright White pens in a shop here in town. It took a while for them to come to the Netherlands, but now we can buy them too. 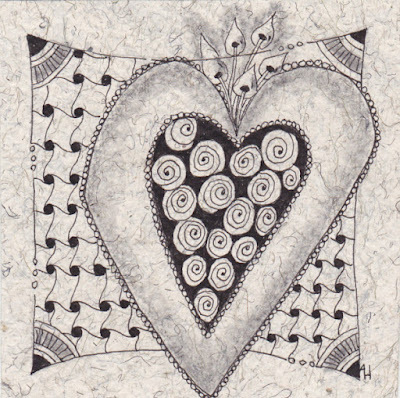 'Nested Hearts' is the subject of challenge 352. I did not know the word 'nested', so learned something again. Next to the pleasure of the weekly challenge, there is always the benefit to learn more (and hopefully) better English by participating. 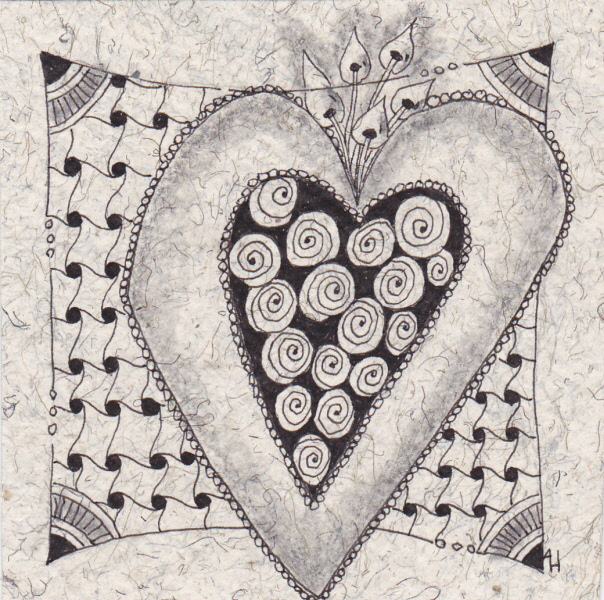 I decided to work on this special paper with only black pens and pencil and kept it quite simple. Love the feeling of simplicity! Nice tangling! Wat heerlijk toch om verschillende soorten papier te gebruiken, Je tekening komt hier prachtig op uit. Ook de compositie is heel geslaagd! Fijn dat ook in Nederland de dikkere GellyRolls te krijgen zijn, Ik ga ze ook zoeken hier in het dorp. Great composition, I love the Cadent background! I look forward to seeing what you do with your new pens! Your nestled hearts are so sweet and simply elegant. Thank you for your kind words of sympathy on my blog. I love how you hung the balls on Tedeh's favorite branch.